Enjoy Spannerhead? Connect with us on Twitter and Facebook! It’s always nice to see an example that’s obviously received some care and feeding during its lifetime. Most Spannerhead readers know I have a real soft spot for the Opel Manta, so I was pleased when this ad popped up. 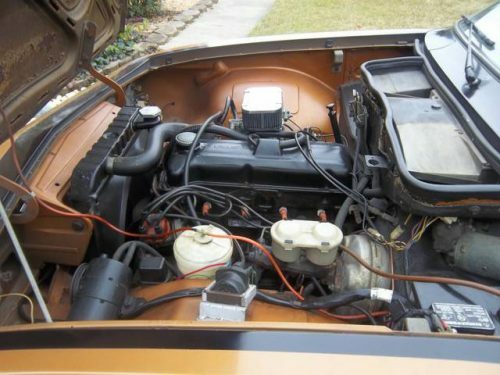 The seller is asking $4,200, an entirely reasonable price for a Manta in the condition shown, especially since—by the seller’s description—there’s very little rust, and none of it structural. The color doesn’t really appeal, but the paint appears to be in good nick. 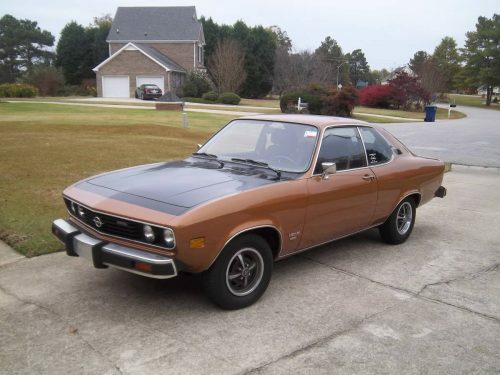 If I bought it, I would consider painting the hood to match; the black hood was part of the “Rallye” trim package and doesn’t really jive with the brown. The above really represents the Manta’s best view. The mini-pony car proportions are shown to good effect and the simple, cohesive lines draw together nicely at the rear. I don’t even mind the federally-mandated crash bumpers. Are they big? Sure. Would I prefer the thin chrome bumpers fitted to the 1970-1972 cars? Yes I would. But they’re not a dealbreaker. 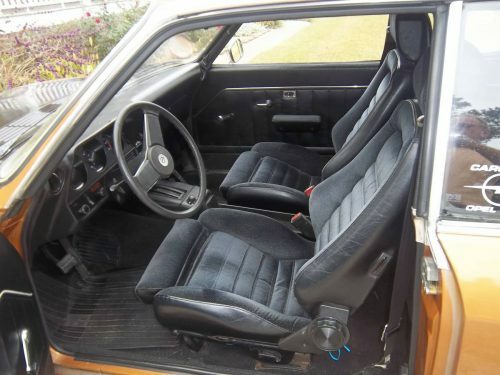 I believe the seats are aftermarket pieces, or at least not original to the Manta, although they look period and quite comfortable to boot. The aformentioned Rallye trim package includes a tachometer and additional auxiliary gauges. The car is equipped with a 1.9l CIH 4-cylinder engine and a 3-speed automatic transmission. As much a fan as I am of rowing my own gears, I’d gladly make an exception for the Manta, since the whole point of ownership isn’t about performance so much as style and presence. 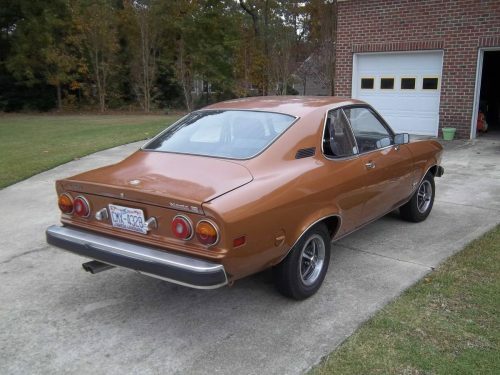 When it was first released, the Manta boasted very competent handling, but nowadays an average modern family sedan could wipe the asphalt with it in the corners. 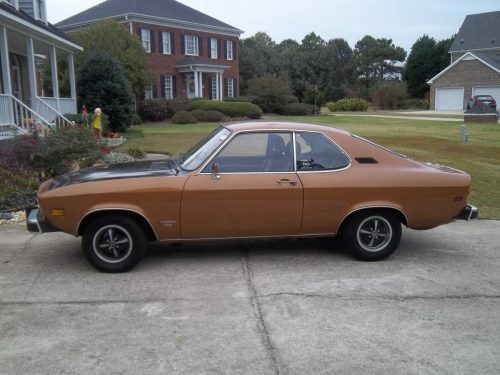 Owning and driving one, then, would be about cruising and enjoying the elemental feel of a little gem of a car from the 1970s. I am looking for this model. I had one back in 84 and the electrical system went screwy on me and I got rid of it and I wish now i hadn’t. Of course I was a lot younger and naive at that time. Is this still up for sale? I don’t know—the Craigslist ad is long gone, but if you can track it down, you might be able to persuade the owner to part with it. I believe I corresponded briefly with the seller, but I’ve deleted that e-mail thread. The ad was on the Greensboro, NC, Craigslist page, if that helps. Maybe ask around on the opelgt.com forums? Categories Select Category 240Z Restoration Acura Aesthetics Aesthetics of Racing Alfa Romeo Alpine Alternative Propulsion Aston Martin Atomizing Fuel Audi Audi Concepts Auto Shows Bitter Blog BMW Bugatti Buick Burger Dots Cadillac Car Ads and Brochures Car Culture Car Heroes Car Industry Car Stories Caterham Chevrolet Choice Circuits Chrysler Citroen Concept Cars Datsun DeLorean Design Highs and Lows Dodge Embarrassing Flirtations Engine Swap Hall of Fame Events Ferrari Fiat Ford Formula 1 FWD Champions Geo GM Honda Hyundai Infiniti Interesting Engines Jaguar Kia Koenigsegg Lamborghini Lancia Learning To Drive Stick Lexus Lincoln Links Local Finds Lotus Maserati Mazda McLaren Media Mercedes Mercs I Would Consider Miscellaneous Mitsubishi Motorcycles Movie Stars Muscle Cars News Nissan Oldsmobile Ones That Got Away Opel Our Cars Peugeot Plymouth Pontiac Porsche Project Cars Racing Racing Games Renault Rolls-Royce Rotary Saab Scion Shelby Sophomore Slumps SRT SSC Store Styling Faux Pas Styling Misfires Subaru Sunbeam Technical Technical Curiosities Tesla Thoughts On Z-Cars Tinkering Toyota TVR Ugly Engines Underrated Lookers Volkswagen Volvo What Might Have Been Wheels Which Would You Buy?